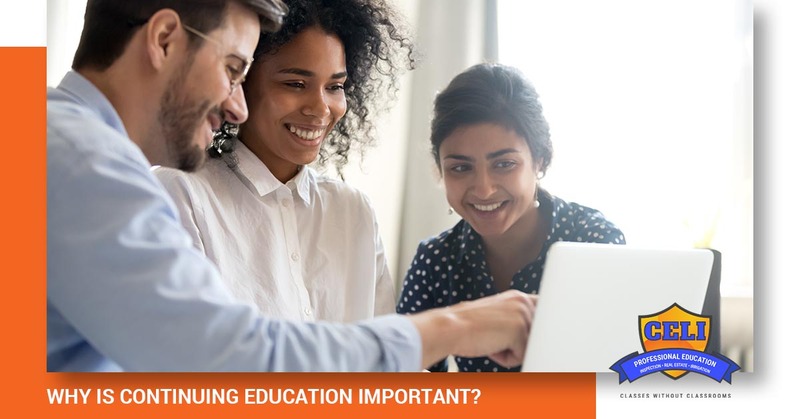 Real Estate License: Why Is Continuing Education Important? As a licensed Realtor®, you already understand the value of being educated in your field, not only so that you could achieve your licensure, but also so that you could provide your clients with the very best service. You may be wondering, however, why you need to continually take classes every few years to update your real estate license. In today’s post, we will take a look at some of the reasons why continuing education is important for you. Be sure to contact Continuing Education for Licensing to learn about all of the courses we offer for your real estate license needs. When you first obtained your real estate license, you learned many real estate laws, including the specifics of subjects such as: contracts, negotiations, home inspections, mortgage basics, selling, and 1031 Exchanges. While there are some aspects of each of these topics that won’t change, there are many others that constantly change in relation to both state and federal regulations. What you learned when you first obtained your real estate license may not be completely accurate or current anymore. Working toward your license renewal helps you to stay current with all of the trends and changes in the world of real estate. When your clients see that not only did you work to earn your real estate license, but pursue the continuing education courses you need each year to keep your license current, they will feel very confident in the services you provide. Customers who feel confident with a Realtor® are more likely to stay loyal to you each time they want to buy or sell property. The more knowledgeable you are about various real estate topics, the more your clients will trust you when it comes time to make decisions that are life-changing. It is very difficult in this day and age to market yourself or your business without some sort of presence in the world of social media. Continuing education classes can help you to learn how to use this tool to your advantage, as well as provide an opportunity for you to see how other Realtors® have had successful social media marketing campaigns. The more opportunities you provide for people to see your face, hear your “voice,” and interact with you, the more you will be able to grow your client base. The name itself would indicate that these practices are always changing as new and better ways of doing things are discovered. For example, the best way to prepare a current market analysis (CMA) is probably not exactly the way it was when you first started in real estate. Even if you have been a Realtor® for just a couple of years, it is best not to assume that everything is still the same when it comes to preparing a CMA. Continuing education will help you to stay current with the best practices for many different facets in real estate. You probably never thought that the topic of marijuana, legal or not, would cross paths with your career as a Realtor®. No matter where you stand on the legalization issue, you are likely to come into contact with it as it is now widespread across the real estate industry, impacting buyers, sellers, landlords, and tenants in both residential and commercial markets. Continuing education classes will help you to learn where the legal controversies are, as well as the implications for you as a real estate agent. You worked hard to obtain your real estate license, so don’t let the changing legal landscape put your credibility in jeopardy. Continuing Education for Licensing knows just how important it is for you to find the classes you need at the time you need them. Call us today to see the courses we offer, as well as the single classes you can take to obtain your real estate license or license renewal.